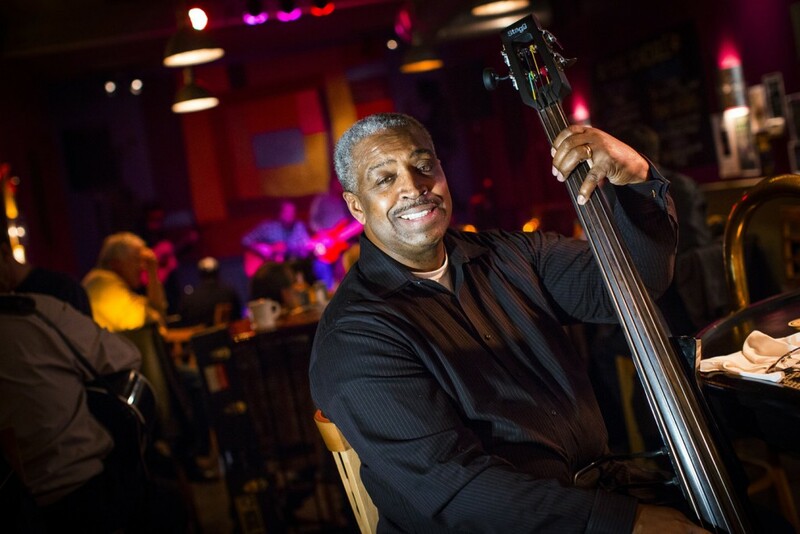 Just as a jazz tune evolves as it progresses, Darryl Clark ’82 moves forward in his career as a technology manager and in his art as a bassist. “In my field you have to keep evolving. Every three or four years you have to adapt, learn new information and techniques,” says Clark, director of appliance software for Nexenta Systems, Santa Clara, Calif. The latest evolution in his field is software-defined storage, where Nexenta is a pioneer. Based in New York, Clark oversees a team with members in Russia, India, and California that is developing the user interface for the next-generation Nexenta product. “Today people know about cloud storage, and it seems routine, but 16 years ago the concept was just emerging,” Clark says. That’s when he and several partners developed the idea of a storage-service provider. “Storage networks provided offsite storage for large enterprise customers. In 1999, this was a big deal. I was an early member of the team and learned about dense wave division multiplexing long before it became commonplace,” he says. He led the team that built a fiber optic ring around New York City. A chance encounter as a Lafayette student led to his first job. An A.B. engineering major who worked in the computer lab, he met the vice president of development for Chemical Bank during an admissions tour led by Alvin Yearwood ’83. Clark went on to hold positions in network systems programming at Merrill Lynch, American Express, and MBNA, where he also managed infrastructure planning and storage administration. Having played classical guitar starting at age seven, Clark switched to electric bass in high school and studied at the JazzMobile Workshop. He was a student under the late Earl May for two years. In Lafayette’s Jazz Ensemble, he played with Jay Katz ’84, with whom he still performs occasionally. “The roots of all popular music are based on understanding and playing the standards,” Clark says. Always stretching the limits, he regularly plays smooth jazz with guitarist Frank Piombo and straight-ahead jazz with the Perfect Alibi Ensemble. Performing with the reggae/folk group Owens Brothers Ensemble at the 2014 Lincoln Center Out of Doors concert honoring Pete Seeger was particularly memorable. Clark enjoys open jams at Hedley Club in San Jose, Calif., and Hat City Kitchen in Orange, N.J. On Sundays he plays with the gospel group at Bethany Church in West Orange. Clark has been involved in the New York City Mayor’s Adopt-a-Class program and Essex County, N.J., Youth Detention Center ministry. For eight years he chaired the library action committee of the Langston Hughes Community Library and Cultural Center in the Corona-East Elmhurst neighborhood, where he grew up. The nation benefited from Clark’s service as small boat coxwain in the U.S. Coast Guard reserve from 1988 to 2000. Two occasions stand out in his mind, one of them ceremonial: during Fleet Week in 1993, his boat was among those that escorted the Russian destroyer Bezuderzhny to the U.S.S. Intrepid. The other occasion was the 1991 Nor’easter that became known as the Perfect Storm.